PNM Engineering are one of the UK's leading independent Lotus specialist for all aspects of servicing your Lotus sportscar. 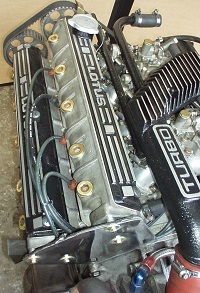 We are fully skilled in all Lotus's from historic to modern. 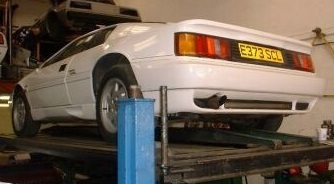 Our dedicated workshops cover all aspects of owning, running and maintaining a Lotus. PNM offer a full reconditioning service on all engines; cylinder head rebuilds including skimming, valve grinds and new valve seating, installation of performance camshafts, re-profiling of head including porting, performance upgrades can include lightening of major parts, balancing pistons, crank and rods. All our engine rebuilds are fully detailed & the completed engine is returned to the customer with a detailed rebuild data document (click to open example in PDF) which includes all work undertaken as well as specifications, etc. PNM can replace gearbox synchro rings or gears, undertake full rebuilds, overhaul transmissions and undertake set up. PNM can carry out any suspension repairs including wheel alignment, performance upgrades available including uprated coil springs, shock absorbers and suspension bushes and joints. This can be finished to your required set-up. PNM offers brake repairs and testing as well as performance upgrades involving fitting quality performance replacement discs and pads up to new repositioned braking systems. We specialise in remanufacturing brake calipers, pistons, handbrake mechanisms and seals including handbrake mechanisms for Elan and vented brake discs for Esprit, Excel, Elite, Eclat and Lotus Sunbeam.